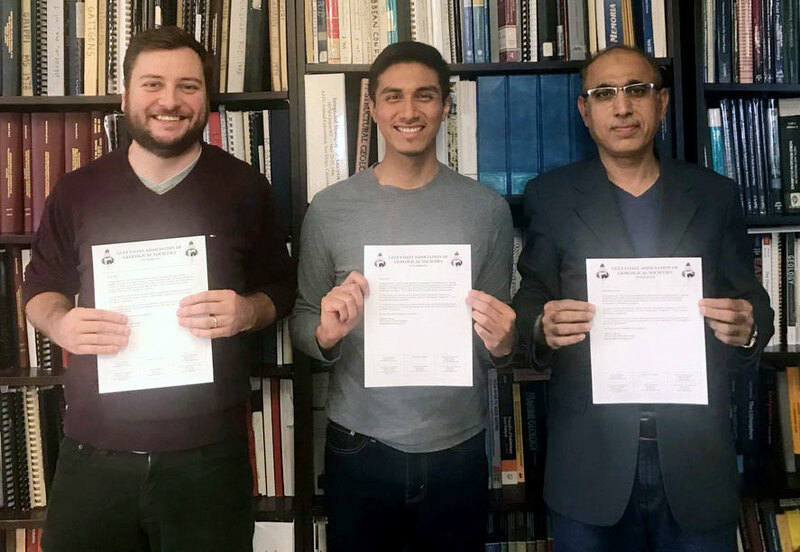 University of Houston Department of Earth and Atmospheric Sciences students placed first, second and third at the 68th Annual Convention of the Gulf Coast Association of Geological Societies (GCAGS) held in Shreveport, La., September 30-October 2, 2018. The conference, titled “Energy! Another Round,” was organized by GCAGS and hosted by the Shreveport Geological Society. First through fourth place awards were given to the top posters out of 41 entries from both professionals and graduate/undergraduate students. Posters were scored by a panel of judges based on the overall appearance of the poster, quality of data and interpretations, oral summary of the poster by the presenter, and responses of the presenter to questions posed by the judges. 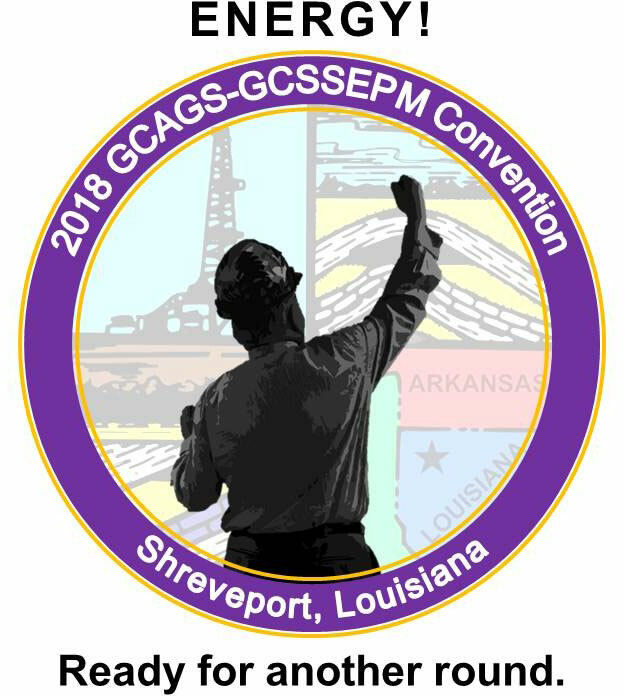 The GCAGS conference drew 300 participants and covered all aspects of Gulf of Mexico, Gulf coast, and Atlantic margins exploration and production. A May 2018 B.S. geophysics graduate, Zavala earned first-place honors with his poster “Comparison of multi-stage cooling histories on conjugate rift margins of the South Atlantic Ocean” that used data from offshore wells and low-temperature thermochronology (LTT) cooling ages from the South American and West African conjugate margins. Zavala used a compilation of 26 passive margin wells on the two conjugate margins combined with analysis of 1,272 LTT ages from the South American coastal zone and 801 LTT ages from the West African coastal zone. Zavala was an undergraduate research assistant employed for two years with the Conjugate Basins, Tectonics and Hydrocarbons (CBTH) project and is now planning to attend graduate school in geosciences. A Ph.D. student since 2017 with the CBTH project, Kenning earned second place for his poster “Role of Eocene-Oligocene mass transport deposits for controlling along-strike variations in thickness, structural geology, and hydrocarbon sealing, Mexican Ridges fold-thrust belt, western Gulf of Mexico.” He interpreted a regional, 20,000 km-line length grid of industry seismic data that covers the Mexican Ridges and identified large mass transport deposits derived from the uplifted and eroding rocks in Mexico. These deposits form critical seals for petroleum trapped in the offshore foldbelt. A Ph.D. student with the CBTH project since 2017, Bugti earned third place for his poster “Structural modeling and kinematic restoration of the Corsair normal fault trend, northwest Gulf of Mexico.” He mapped a large area of the northwestern Gulf of Mexico to show the importance of the rift features along the elongate Corsair fault trend for controlling the downslope movement of salt and clastic sedimentary rocks. The three students will receive a plaque at the opening session and awards ceremony of the 2019 GCAGS Convention in Houston on October 23, 2019.